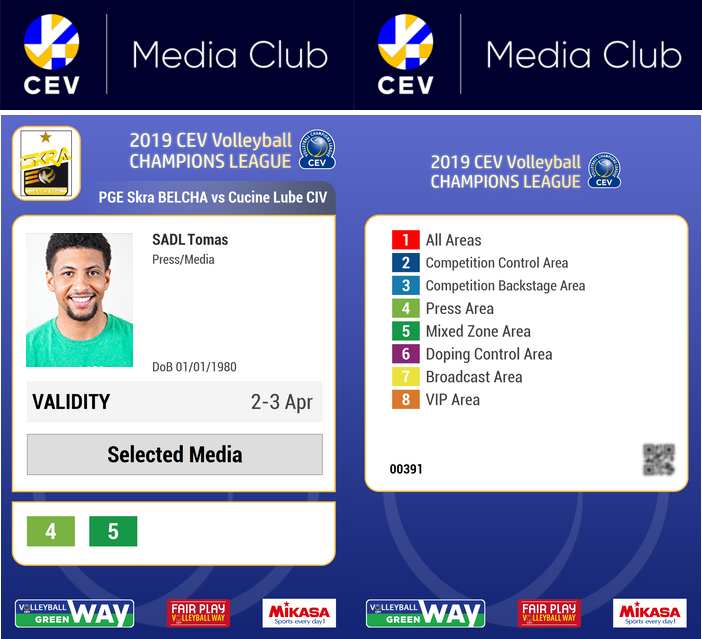 After only one month from the official launch of the Accreditation System at CEV Champions League, our team have now successfully delivered to CEV a new dedicated tool: the CEV Media Club. This Platform, integrated with the Accreditation System, is designed to be the entry point for Media who want to join CEV Events. In fact, it allows Media people to sign up, in order to get accreditations (and badges) for the events. Once the registration is completed and the Media is confirmed as a member, it is possible to apply for CEV major events as well as receive regular updates and news. VideoCheck landed on USA courts a while ago. Data Project instant replay system was used by NCAA for the first time during Long Beach vs Stanford. This state-of-the-art technology improves the accuracy of on-court decisions, greatly reducing the likelihood of officiating errors through slow motion replays, captured by 19 high quality video cameras. Video referrals and slow motion replays can be displayed on scoreboards, big screen and televisions, to drive fan engagement to a new level. The Accreditation System was successfully launched by CEV during Men and Women's European Champions League 2018/2019. The system, consisting of a global accreditation tool for sports events, enables to handle in one software all the requests for accreditation of all the parties involved in the event, from organizers, to players, volunteers, media, etc. 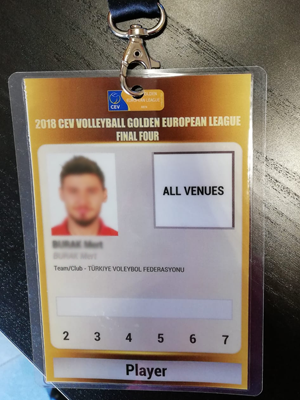 The Accreditation System (that was tested in June by CEV and FIVB during some international competitions) was warmly welcomed by both CEV staff and Clubs. At this stage, about 60 teams are using or are going to use the system during Champions League, to create and print badges to use on court. One of the feature that makes this collaboration with CEV successful is its total integration with the rest of CEV online system. Developed by Data Project as well, it automatically pushes data coming from CEV competitions to the Accreditation System, significantly facilitating Clubs' work. Being the connection mostly automatic, the entire data processing turns being faster and easier. Players' information comes from the inscription forms, meaning that when Clubs add a player to inscription forms for the season, these are pushed to the events, ready for being printed. 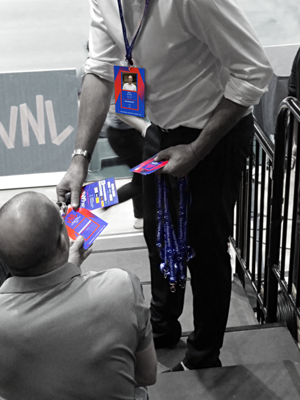 Coaches, staff, referees and CEV officials in general all come from the CEV online system, as well as photos and match event logos. All the rights are automatically assigned to the people, based on a template defined by CEV. Hosting clubs can manage their sponsors logos on the badge: CEV creates a template, leaving an empty space for them. Clubs will only have to download the template used for the main event and include the local sponsor, which will be present only in the match event badge. You are at the VIP lounge during the World Championship match, when Russia, playing with Brazil,gets the point at the end of such an exciting rally. You liked the really so much and you'd love to watch it again, right here right now. No problem at all, there's Data Project taking care of it, with the brand new service Data Volley 4 Highlights. 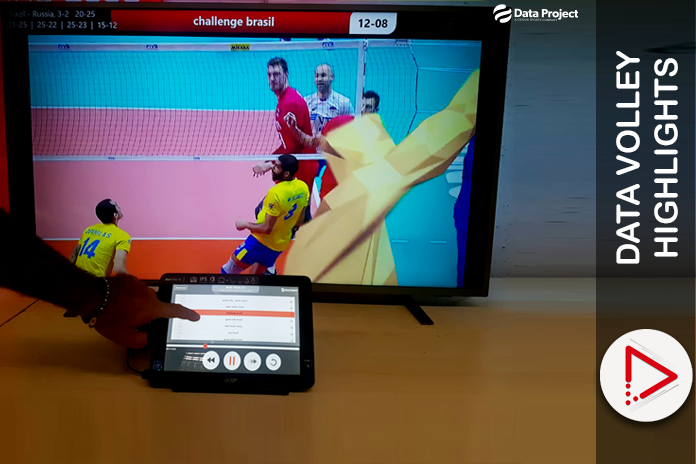 The app, introduced right during the final phase of FIVB Men's World Championship in Turin, receives from Data Volley 4 the highlights clips just played and shows them through a list that updates in real-time. It gives the chance to all the attendees in the VIP room or wherever the event organizer wants, to watch again and again the most interesting rallies related to the current match and the previous ones, thanks to a simple tablet connected to a monitor and made available to all the users in the area. 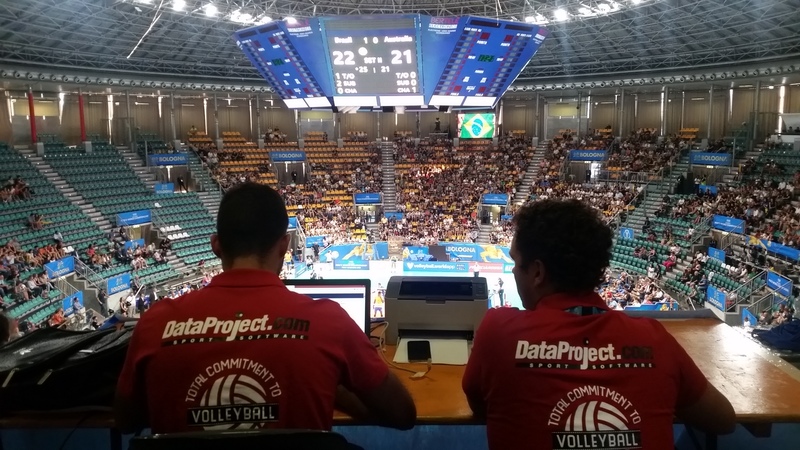 The collaboration between #DataProject and FIVB - International Volleyball Federation continues. 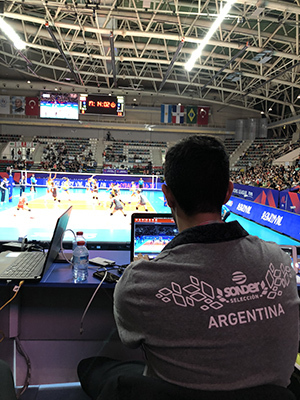 After the success of the services provided during the Volleyball Nations League this summer, our team, which never stops, is now working to provide technical support during the Men's Volleyball World Championships started last week and taking place in different locations in Italy and Bulgaria. Our Dream Team, made up of 4 groups of trained and specialized operators, is constantly working to provide the best management of the #VolleyballIntegratedSystem, which includes the use of various software made in Data Project, such as #eScoresheet, the #TabletSystem, #DataVolley and #Volleyboard. What are the software for? 1) e-Scoresheet is the software that guides the operator in compiling the match scoresheet, checking all the unforeseen situations and events that may occur during a match, suggesting the possible solution. The report produced by e-Scoresheet officially replaces the paper version in all the competitions organized by FIVB, CEV and many other federations. e-Scoresheet not only optimizes the compilation of the match report, but is also an essential tool for the Live Score, as, by connecting to the organization's website, it transmits the data, allowing to automatically update the score and other information on the game. 2) #TabletSystem consists in a number of tablets connected to e-Scoresheet and given to referees and benches, designed to allow the two parties to communicate in a simple and immediate way in case of VideoCheck calls, Time Out, Substitutions and much more. 3) Data Volley 4 is the most used statistics and analysis software in the world, adopted by most of the volleyball teams during the major international competitions. By combining statistics and videos in a single software, it allows to carry out an in-depth study of the performance of the home team and the opponent one, before, during and after the match. 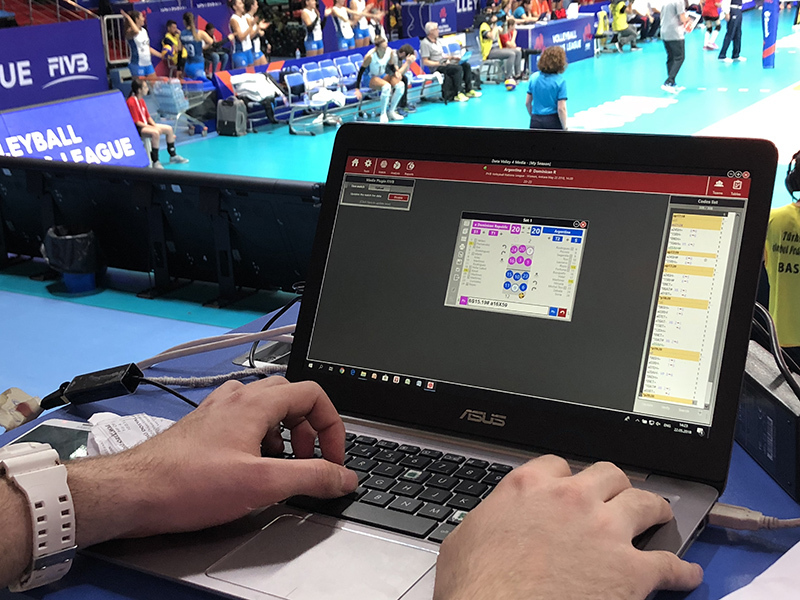 4) #VolleyBoard is the software that allows to manage the maxi-screens on the venue, in a simple and complete way, being connected to all the other Dara Project software. It allows you to entertain the audience in the venue displaying score in real time, match statistics, players information, replay of the actions just played, VideoCheck calls results and much more. 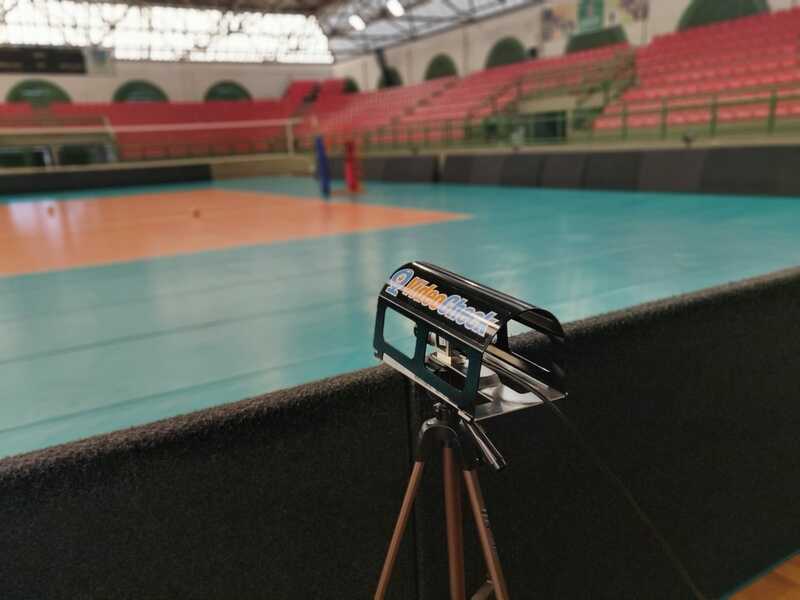 Our team this week flew to Belo Horizonte (Brazil) to deliver and install a VideoCheck system for Sada Cruzeiro Volei. Our guys received a very warm welcome. On the first day, there was a training course on how to set up the system, and a meeting with referees. The day after, there was a test match, during which the operators practised on VideoCheck. New article in portuguese here. We are proud to announce the launch of our new company logo and brand identity. Following the sale of our business in 2017 to Genius Sports, the global leader in sports data and technology, this brand evolution has been undertaken to align the two businesses more closely. Our new logo and brand symbolise our role as a crucial part of Genius Sports, which has more than 1100 employees and is a trusted partner to 500 sports organisations globally. Since the acquisition, we have formed long-term data and technology partnerships with more than 15 new volleyball leagues and federations across Europe, Asia and Latin America. While we are changing some aspects of our external brand, our long-standing and dedicated team will continue to provide volleyball leagues, federations and clubs around the world with market-leading software, support, training and expertise with the same proficiency, reliability and professional approach that have been identifying us in the last 30 years. Data Video Essential allows to get in a few easy steps an essential video analysis, not at a special price. 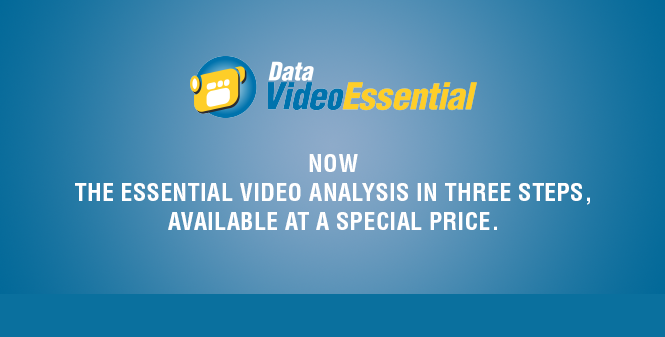 ow you can buy your annual Data Video Essential license at the special price of €99 instead of €199. - Video analysis without scout: Set serve and setters' position on court, in order to get a complete rotation analysis. Or you can start to scout, downloading for free Essential Stats, or buying Click&Scout. - Custom video montages: Edit in few minutes a custom video for each athlete, including both personal improvements and weak points to work on. - Delayed video streaming: Set the delayed streaming to show your athletes the performance just made, offering them an extra support. Innovation and efficiency are the basis of Data Project international success. Our R&D team is constantly working on enhancing the range of products, with only one, big goal: to put technology at the service of sports, improving fans’ experience, supporting the progress of game techniques for coaches and players, as well as simplifying as much as possible the competitions management mechanisms and processes. From this last aspect, a few months ago, in collaboration with Genius Sports, a new project called Accreditation System was born, dedicated to all sports authorities (Federations, Leagues, etc.) that organize events. 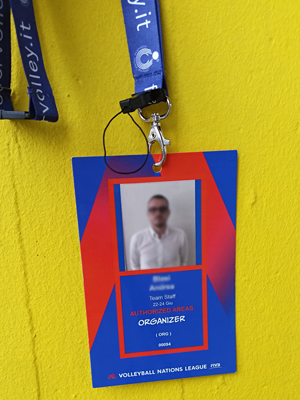 As the name suggests, the system consists of a global accreditation tool for sports events (not just volleyball), that enables to handle in one software all the requests for accreditation of all the parties involved in the event, from organizers, to players, volunteers, media, security, etc. The Accreditation System is not only an autonomous and complete product, that manage the entire process of roles assignment and related authorizations, from the request to the actual print of the badge – thanks to a dedicated software, but it is also a platform that communicates with Web Competition Manager, the Data Project system for the management of competitions. Accreditation System receives from WCM all the data inserted in it (acquired by the Data Project software connected to the system, Data Volley, Click&Scout, e-Scoresheet, Video Sharing): therefore, information of players, coaches, referees and those who are in the WCM, is already in the system. The Accreditation System provides benefits both to organizers and simple users involved. It is possible for the event organizer to manage, through the interface, all the requests himself or to delegate to department managers (volunteers, media, etc.) the management of their teams. Individual users, through the dedicated portal, can register in order to request accreditation and, in their personal area, check the status of their requests, download files and information about the event for which they are accredited and request new accreditations. 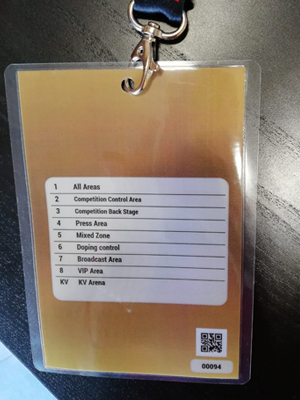 In addition to the standard nominal badges with identification photo, the Accreditation System give the possibility to make daily nominal passes and also general passes, customizable in roles and related access areas (e.g. for security, guests, etc.) as well as in duration (1 day or more). 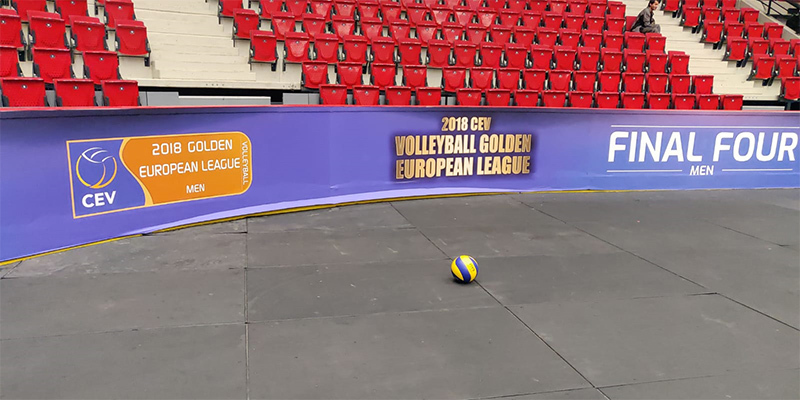 In the last few weeks, we launched the system on the courts of different international competitions: the Accreditation System has been successfully used by CEV, during the Final Four of European Golden League in Czech Republic, as well as by FIVB, during the Italian matches of Volleyball Nations League in Eboli and Modena. Our partnership with CEV - European Volleyball today leads us to Czec Republic for the Golden European League (Men) 2018 Final Four. 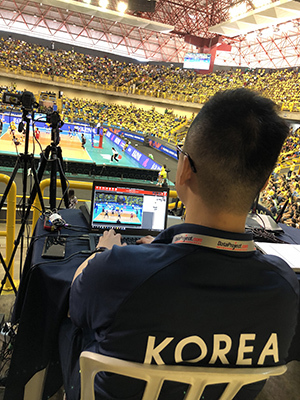 In the KV Arena, in addition to #eScoresheet, the software to compile the official scoresheet, we provide #VideoCheck, the video recording system to detect net and line calls, used to improve the accuracy of on-court decisions. 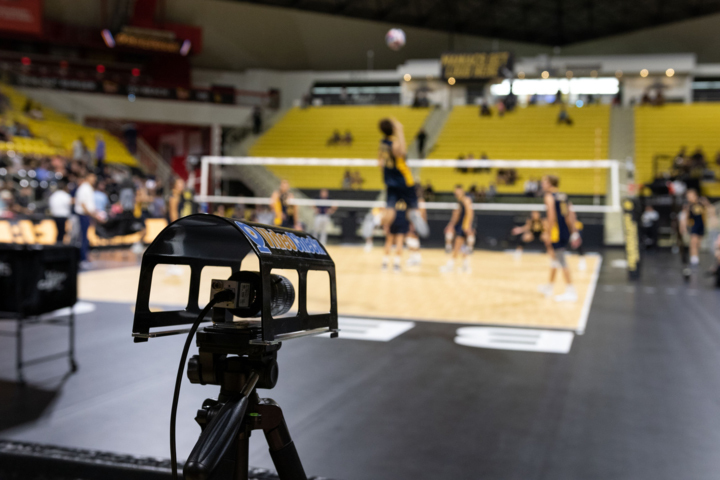 VideoCheck consists of one to three servers and a variable set of cameras positioned on the volleyball court, monitoring a number of violations. In Karlovy Vary the system used is the Complete System with 19 cameras. What does VideoCheck detect? The 19 Cameras system is composed by Block Touch cameras, Line cameras, Attack Line cameras, Net cameras and a Scene camera. This system enables to monitor the whole court, allowing to detect balls in/out and block touch faults, as well as net faults and attack line faults. All the cameras, except for the attack line ones, have twin cameras that allow an even more accuracy in the monitoring, providing a wider perspective. During this #VNL by FIVB - International Volleyball Federation a lot of teams are using #DataVolley 4 Professional. 1) Before the game, during training, to study the opponent team, combining statistics and video of previous matches. 2) During the game, analysing their own team and opponents' performance as well, thanks to statistics and live stream of the match, in order to adapt the game strategy in real-time. 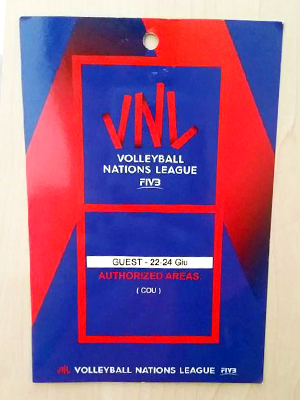 Some of the teams using Data Volley 4 at Volleyball Nations League: Iran, Brazil, China, Russia, Korea, Japan, Dominican Republic, Belgium, Turkey, Argentina, Germany, Serbia. 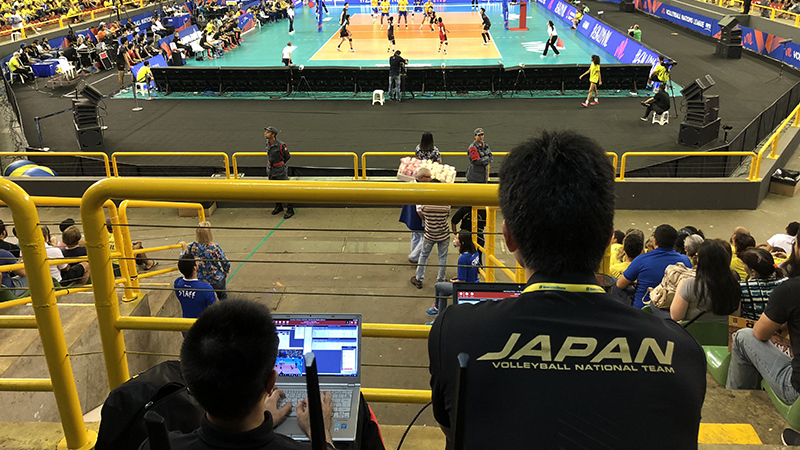 Data Project is always on the frontline in supporting volleyball international events. In particular, we are in partnership with FIVB - International Volleyball Federation for the #VolleyballNationsLeague. Started in May, it will going on until the end of June in several locations around the world such as Brazil, France, Italy, Japan, China, Korea, USA, Argentina, Bulgaria, Netherlands, Turkey, Canada and many more. 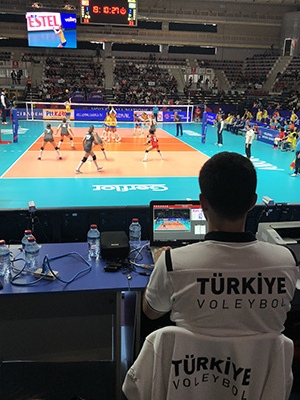 Our team is travelling through all these venues working as Technical Assistants, supporting the FIVB organization in relation to the Data Project #EventsIntegratedSystem for #VNL. 2) #TabletsSystem, fully integrated with #eScoresheet, it enables referees and benches to easily communicate in real-time via tablets. 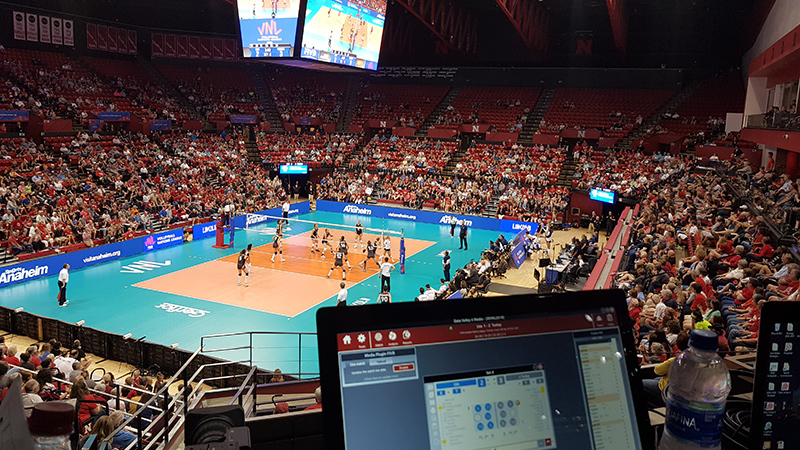 3) PC’s for #VolleyBoard, the software for giant screens management, connected to all the #DataProject software, that allows to engage the audience at the venue, showing scores, statistics and much more in real-time during the match. 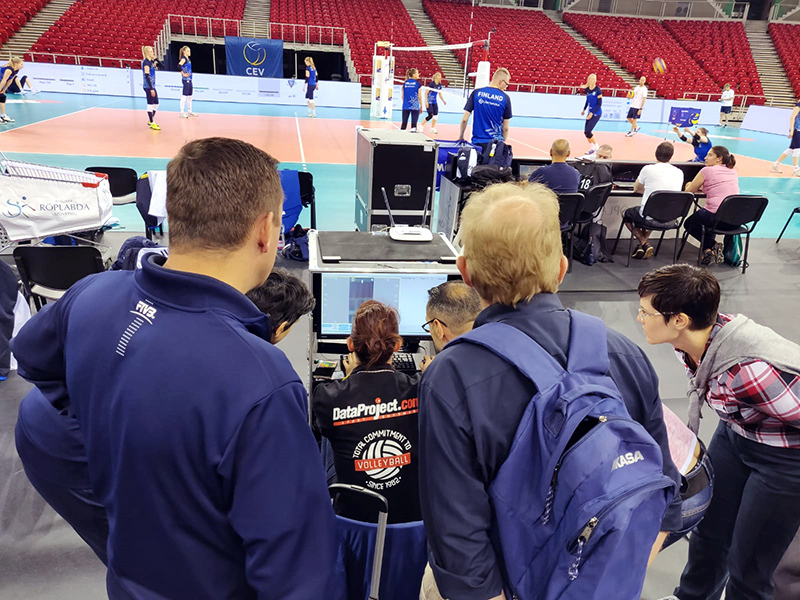 Data Project technicians are taking care of all the #EventsIntegratedSystem, managing the connection between #eScoresheet and tablets, giving support to scoutmen on court connected to the platform, managing #VolleyBoard. 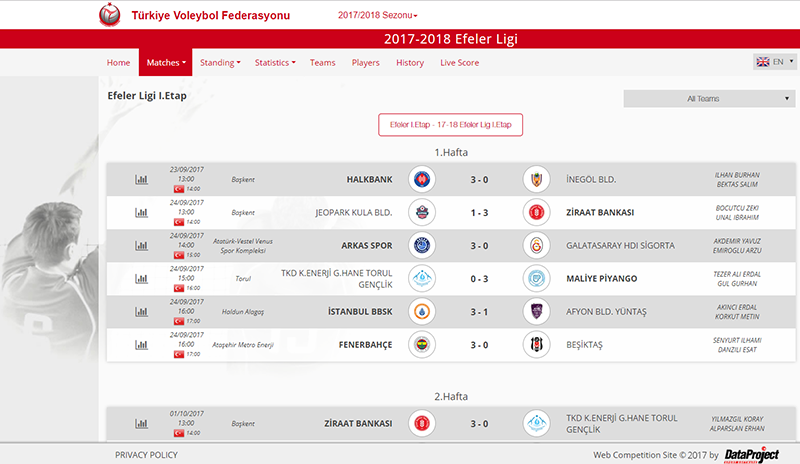 Not only Data Project is the world leader developer of statistics and video analysis software for volleyball, but also, we have been providing to Leagues and Federations all over the world impressive services for managing their competitions, adding value to their data and engaging their fans. In fact, we provide the #WebCompetitionManager, a modular system built according to customer’s specific needs, that enable the organization to easily handle all the different aspects of their competitions. Being totally integrated with all the #DataProject software, the WCM allows to process all the information collected through #DataVolley, Click&Scout, #eScoresheet and #VideoSharing, and include all the results on a dedicated microsite. 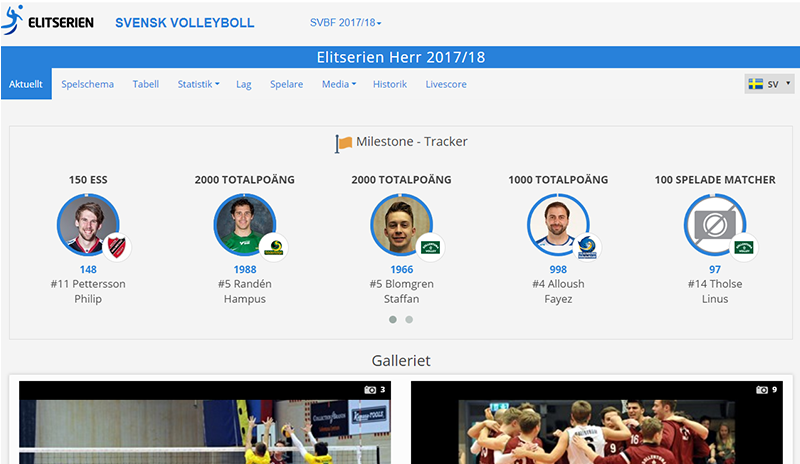 #Microsites, created from scratch or embedded in the existing League/Federation website, can include a wide range of contents such as teams and players’ information, matches schedules, real time statistics, #playbyplay, news, photo galleries, video stats and live streaming. 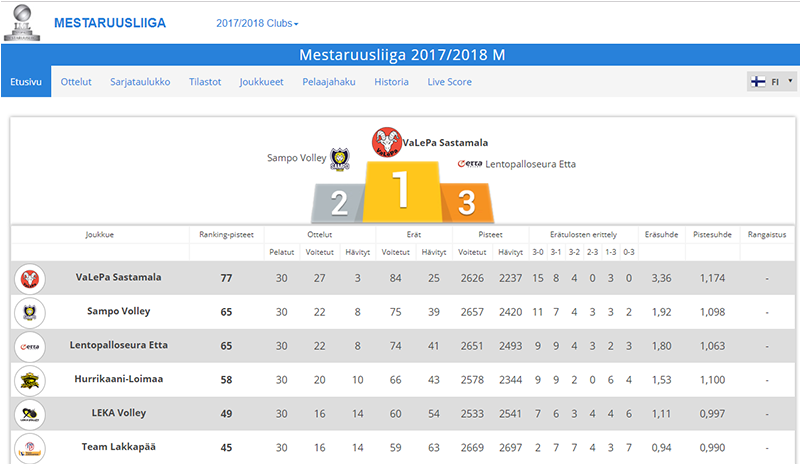 Most of the seasons has recently came to an end and we are proud of the achievements of every League and Federation in terms of pageviews, fans engagement, enhancement of their media areas. 23 Leagues and Federations all over the world have chosen Data Project for their competitions, for more than 11.000 matches managed through our system during season 2017/2018. Genius Sports, the global leader in sports data technology, distribution and commercialisation services, today announces the acquisition of leading volleyball technology provider Data Project. Founded in 1982 in Bologna, Italy, Data Project is the world’s leading provider of technology solutions to professional volleyball leagues and federations and clubs worldwide.